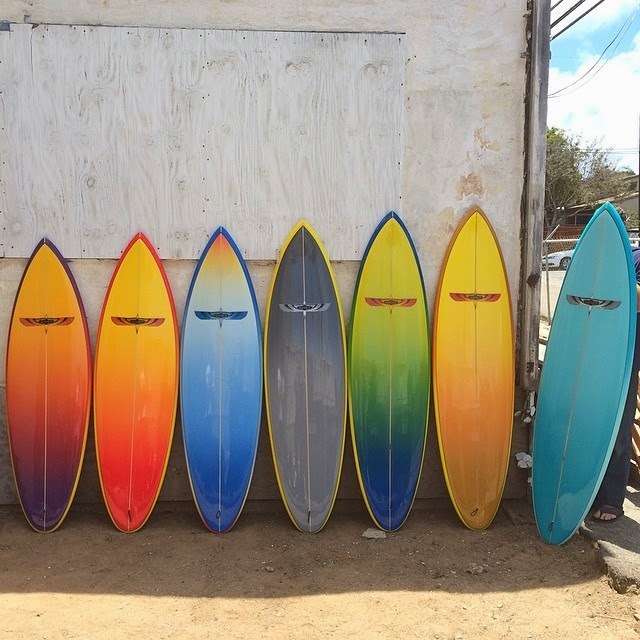 I finally got a group shot of our Sunset Surfboards single fins. Hand-shaped by Brian Fredrickson with original templates. 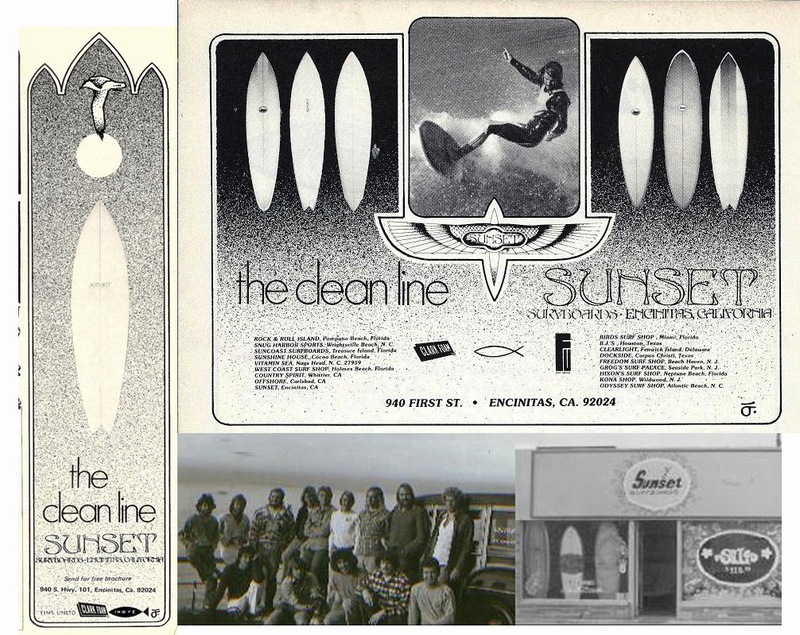 These boards were built by the original Sunset factory crew who formed Moonlight Glassing in 1979. 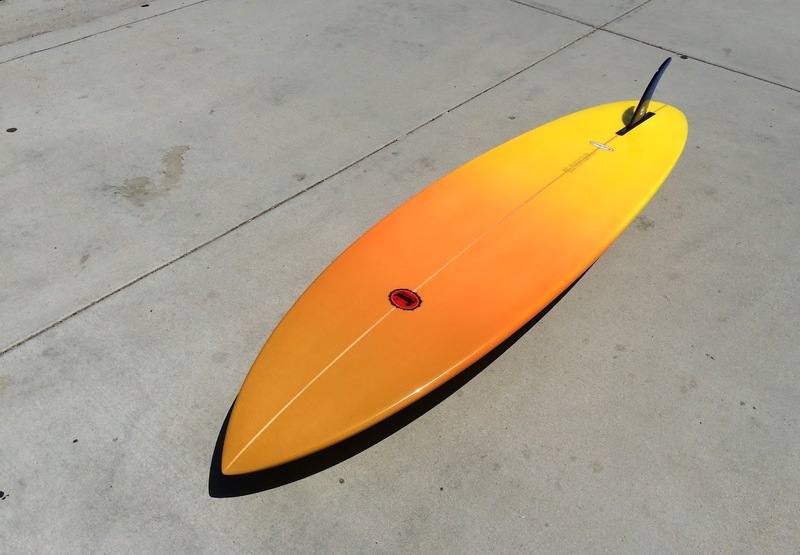 Shaped by Malcolm Campbell for Surfy Surfy stock. 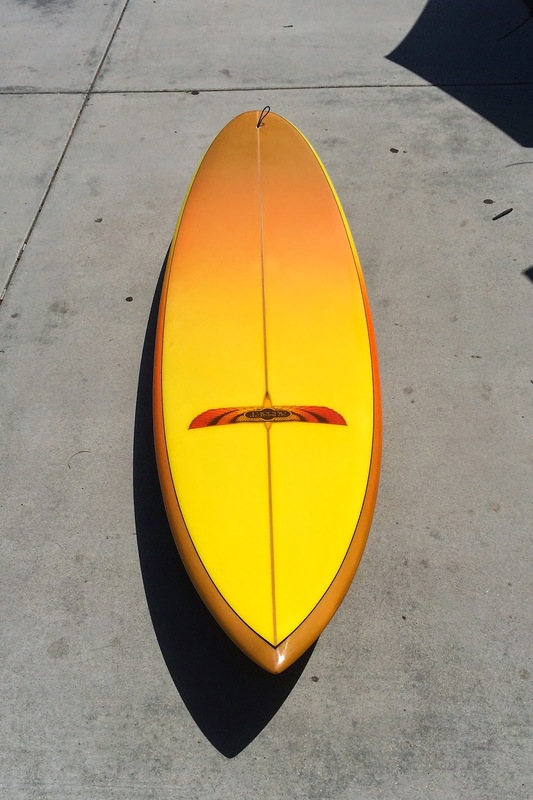 One of the few stock Campbell Brothers Bonzer surfboards on Earth right now. FCS Fusion fin system w/center box. Volan deck patch for the knobby kneed patrons of Surfy Surfy. Another radical airbrush by Peter St Pierre of Moonlight Glasssing. 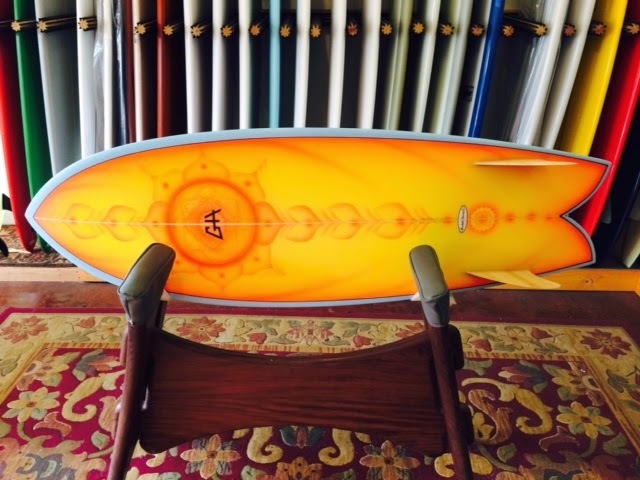 Handshaped by Gary Hanel in Leucadia, California. 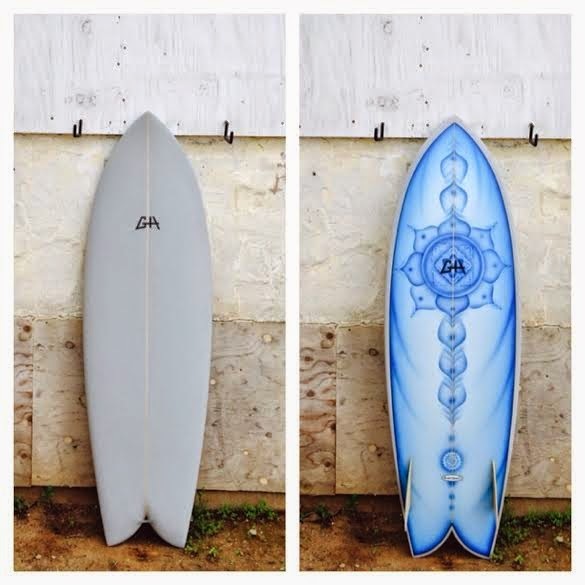 GH’s performance twin keel Fish is a must have for the alternative surfboard enthusiast. 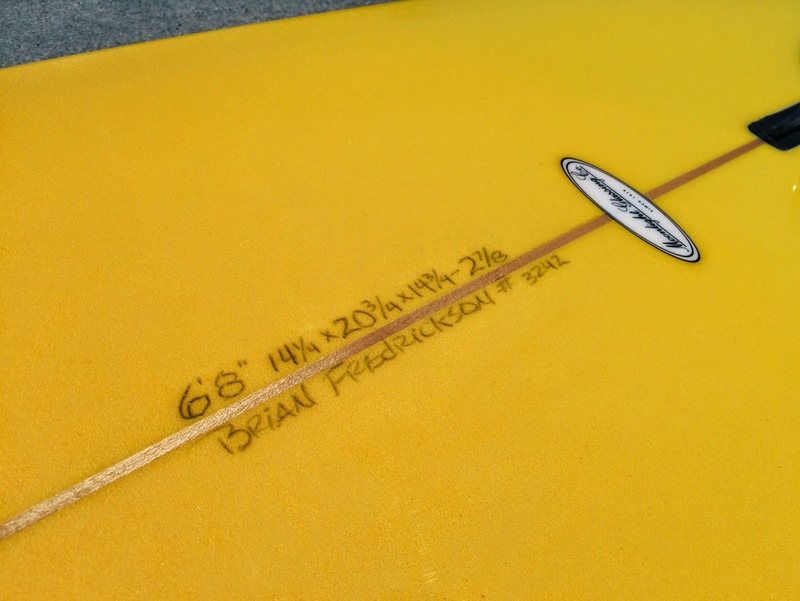 Bamboo glass-on “Lowboy” fins for release and shreddyness. 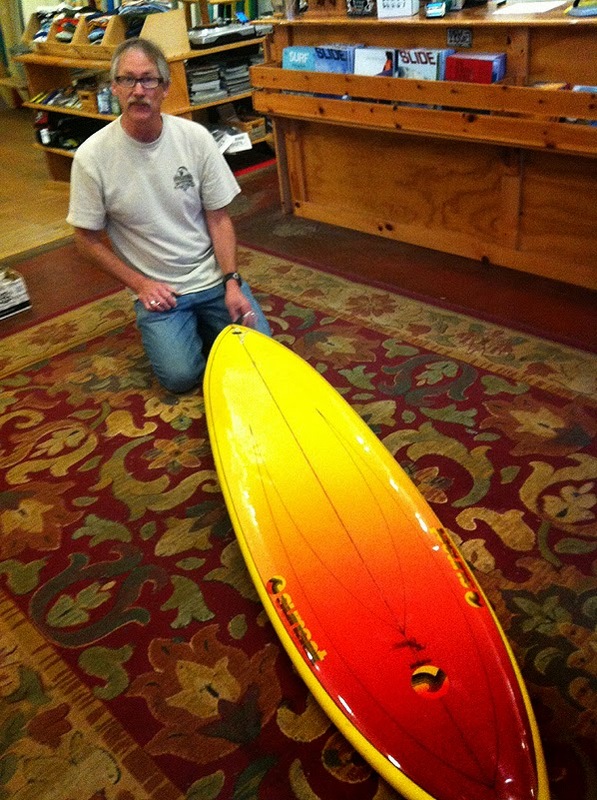 The Gary Hanel twin keel Fish returns to Surfy Surfy! 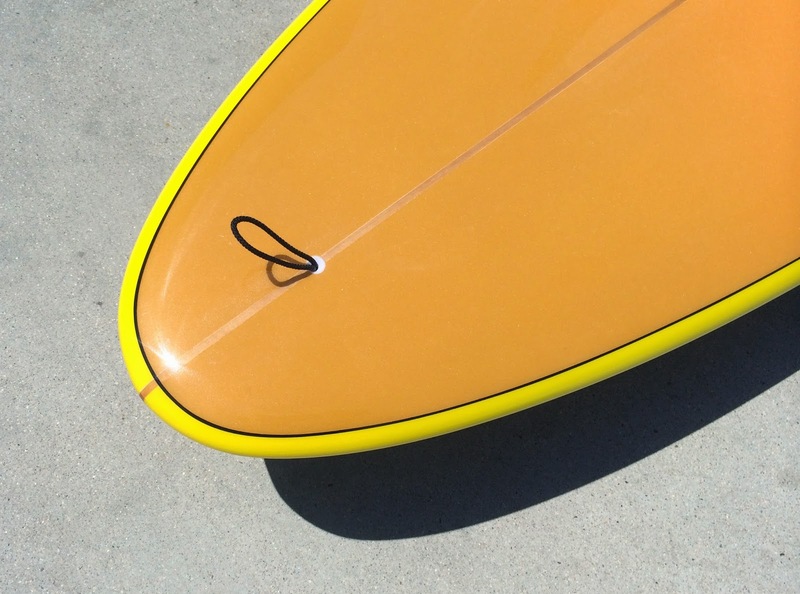 Classic San Diego Fish outline with GH’s performance rails. 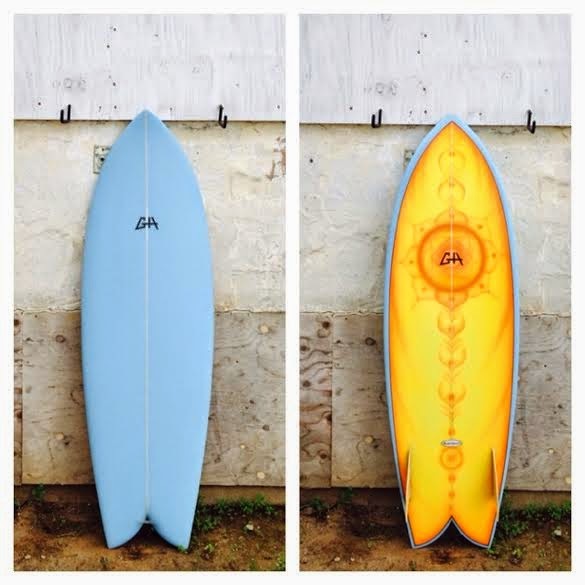 Featuring glass-on Lowboy template bamboo fins by Elliot of his new start up, Teleost Fins. Airbrush work by the color master, Peter St Pierre.